Do you remember the story about the beautiful girl Heidi? 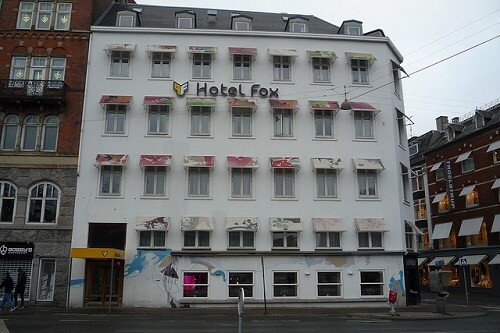 So, the creator of room #409 in Hotel Fox, Copenhagen remembers it. He loves it so much, because he realized his own passion in a really weird but cute room in the hotel! There are a split pine bed, Heidi, her goats and other alpine scenes on the walls of this room. You will really like it, if you love this story!